from 1967 starring a young and crazy Robert Morse as J Pierrepont Finch. When I first watched Mad Men four years ago, the one person that really clicked in my head was Cooper. He had a very familiar look, especially his expressions. 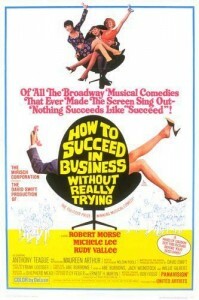 Through the magic of the modern interwebs I was able to do a world-wide search for this actor’s previous accomplishments (Ok, I went right to IMDB) and realized I had recently seen the kat in How to Succeed in Business! 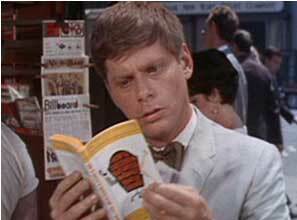 Robert Morse in "How To Succeed In Business"
Man, what a great circle of events. 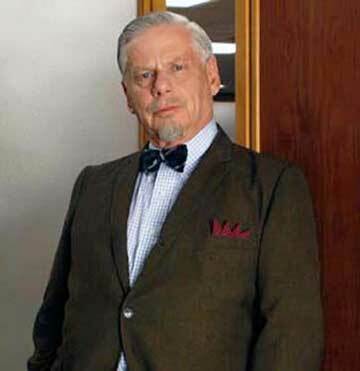 Robert Morse originated the part of “Ponty” in HTSIBWET in 1961 and won a Tony for best actor. When the movie came along he, along with Rudy Vallee, Ruth Kobart and Sammy Smith all recreated their roles from the Broadway version. His character starts out as a window washer who, with the help of a book entitled, “How to Succeed in Business Without Really Trying” decides to take a shot at climbing the corporate ladder. Executive is written all over his future, and his goal is to someday run the company. Change the timing by 30 years, and it becomes very easy to see Cooper’s character starting out with some of the same characteristics, basically making his character in How To Succeed a possible background (although a goofy one) for Burt Cooper. (What’s really funny is how the film treats the Advertising Department and its stigma at the company). Basically, it’s a very kool connection for the retro series Mad Men to make by hiring an actor who actually portrayed these types of characters at the actual time this series takes place. Dig? As for the movie itself, what a fun flick it is. It’s a musical with some swingin’ tunes. The sets are fantastic…more early-60s style than late. Ultra Modern and swanky-galore. Since it was originally staged in ’61, the movie maintains that era’s look and feel. There are a lot of laughs, and by the end you’ll be hoping the kid makes it. 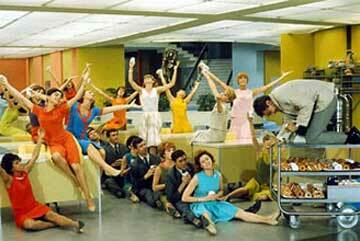 When it’s over, watch a first season Mad Men and you’ll see a few cues from this movie. The kids that put this series together definitely watched this flick once or twice! -Tiki Chris reporting from the screening room at World Wide Widgets. 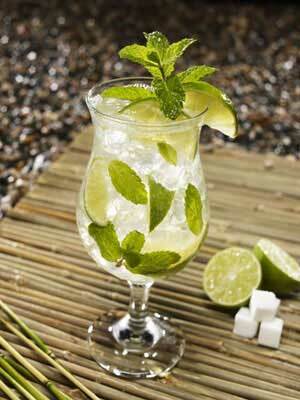 This is Tiki Lounge Talk, the swingin’ retro tiki blog for kool kats and hip kitties. The retro crowd is already chilling the Martinis and warming up the puff pastries and Vienna sausages, getting ready for tonight’s 4th season premier of Mad Men. In about an hour from the publishing of this post, millions will tune in to see where Cooper, Sterling, Draper & Price will go. The writers have kooly and smartly completely revamped the situation for the 4th season, with Don’s life turned completely upside down. It should be a hell of a season. Since almost all of my retro-mod pals live out of state, it’s impossible to have the swanky cocktail affair I would have liked to have had this evening. I think some thin-lapeled suits and Jackie-O cocktail dresses would have been a nice addition to the evening’s show. Anyway, looking forward to the premier as much as you kats and kittens are. We made to Cocoa Beach and it’s sunny a hot! The motel we’re staying in has a Tiki bar poolside, so we’re all set! Lots of tikitastic photos and stories to come later or tomorrow. 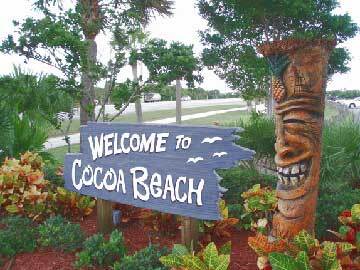 If you follow me on Twitter or The Retro Tiki Lounge on Facebook, you’ve probably heard we’ve been planning a trip to the Space Coast, Cocoa Beach for this weekend. It’s been an up-and-down/on-and-off-and-back-on-again krazy kind of plan. We were originally going to swing up to Orlando (with a stop in Cocoa) on a work/trip, but the work part got canceled. We managed to rescue the Cocoa Beach part of the trip, but several events in the last week (flat tire, sudden influx of rescue puppies and kittens, dates moved on paying gigs with the little lady, etc etc) have severely screwed things up. As of yesterday, we were all set up for a cruise up to Cocao today. Then this goofy Tropical storm, which is all the way down in the Caribbean, decided to fling itself into a big mess of rain clouds and shot some rain all the way up the East Coast of Florida. So as of now, 10:30 am on Friday, here in Fort Lauderdale is a big soggy wreck of a day, and our sources north tell us Cocoa Beach isn’t much different. One thing you should know about Florida: The best stuff to do is outdoors. 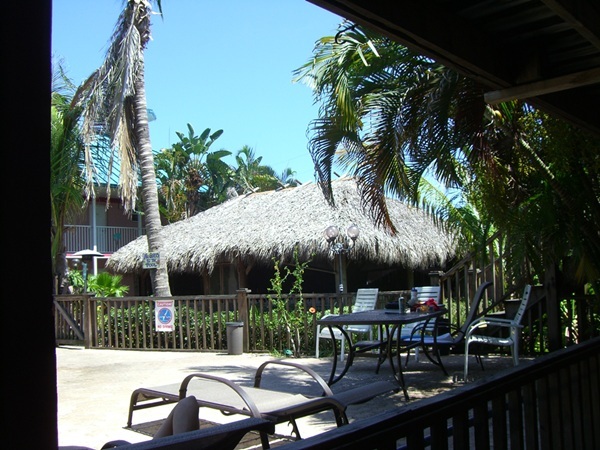 Even the Tiki Bars are all either open-air, on the water (Like Islamorada) or have great tropical gardens (like the Mai Kai). So zipping around in the rain is maximum dullsville. Cocoa Beach is full of kool old ’50s motels and Tiki-ness. 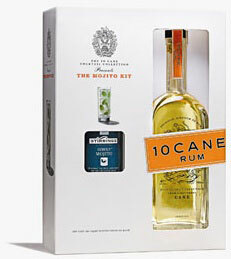 It’s like you can’t get drunk and fall over without hitting a Tiki. There are great Tiki Carvers up there, and lots of fun beachy stuff. And the plan was to take lots of pix and post a report on this seaside Tiki lovers’ getaway. But I’m afraid this TS-Bonnie is going to squash the plans on this foray into vintage-meets-neo tiki culture. It’s no fun driving three hours on I-95 in buckets of rain, even in the sleek little Cruiser with the aquatreds, especially if it’s to spend most of the time sitting in the motel room waiting for the rain to stop. So, we’ll see how it plays out today. If Bonnie bows out by tonight, we’ll swing up tomorrow instead of today. If not, this weekend will be a great time to catch up on some writing. -Tiki Chris, soaking wet and not packed yet, reporting from under the overhang of the lanai at Pirate’s Cove Tiki Bar. Tiki Lounge Talk, The Tiki Culture Blog for Hep Kats and Swingin’ Kittens.